If figuring out the best MSP parking rates has finally moved to the top of your travel to-do list, you’re in luck. At AirportParkingHelper.com, our passion is helping you save time and money on airport parking, including long term parking at MSP airport, without giving up convenience. Travel days are stressful enough, right? *Use our discount code HELPER5 to save an additional $5! Or keep reading for more details on our great tips and cost-effective MSP parking strategies! We make finding cheap long-term parking at Minneapolis airport simple, easy and stress-free. If you’re simply looking to go the most economical route, chances are an off airport lot will work best for short term or long term parking. MSP parking lots like these are not managed by the airport but are independently owned so the rates are much more competitive. Here’s a site where you can compare multiple MSP parking lots at once – see prices, amenities and customer reviews – and then book online so your parking spot and a quick shuttle will be waiting for you. MORE SAVINGS: If you decide to book an off-site MSP airport parking lot, use our coupon code HELPER5 at checkout to save an extra $5! Most off-site parking lots are located within a few miles of the airport, are usually open 24 hours a day and offer enhanced security. Free shuttles will take your right to either terminal at MSP, solving your Humphrey terminal parking dilemma as well as MSP terminal 2 parking woes. Another huge advantage is MSP parking lots off airport grounds allow you to book in advance so there’s no stressing out about where you’re going to park when your flight time is looming. And there’s no charge if you need to cancel. One off-site parking lot that is particularly popular is Park N Go. MSP flyers say they enjoy the low rates and friendly service. They’ll even jump your car or help change a flat tire, if needed. EZ Air Park (often referred to as simply EZ Park MSP) is also a top choice. This lot features automated entry and exit, lighted parking and an attendant on site 24/7. If you're shopping for alternatives for cheap Minneapolis airport parking, it pays to look into an independent offsite lot that's nearby the airport and provides free shuttle service straight to your terminal. An ideal solution for many travelers who fly out of MSP is to leave their car at one of these hotels near Minneapolis airport that offer free parking when you stay overnight. BONUS SAVINGS: Save 15% on your deposit with code HELPER15 if you use this strategy! Depending on the length of your trip, the cost of the room could be less than what you would pay for onsite Minneapolis airport parking so this is definitely a strategy worth looking into. But there are plenty of other good reasons to consider MSP airport hotels. Let’s break it down. Say you have an early morning flight. With a hotel option you wake up rested and ready to face a big day of travel. You also eliminate the stress of having to fight morning traffic around Minneapolis, St. Paul and Bloomington or search for airport parking at all. It’s also a good choice if your return flight comes in late since you don’t have to worry about driving home after a long day of travel. Minneapolis airport hotels with parking packages offer free and frequent shuttles to your terminal and, much like with the off-site lots, you get a guaranteed parking spot in a safe environment. How long you can park your car varies by property but most allow up to a week as part of the room rate. Many times you can negotiate additional parking days if necessary. It can definitely pay off to compare rates for hotels near MSP airport that offer free parking packages. You simply pay a deposit when you book and then the balance when you check in. What hotels near MSP offer long term parking? 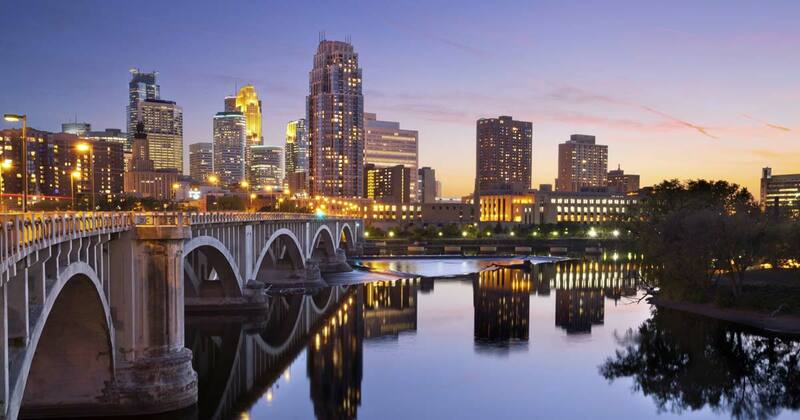 The best way to easily view participating hotels with free Minneapolis airport parking is to utilize a trusted aggregate web site with great values and options to fit any budget. Nearly all of the hotels offer an airport shuttle to get to/from on the days of your flights and free cancellations in case your plans change. Minneapolis St. Paul airport shuttle services allow you to ditch expensive MSP airport parking, leave your car at home and not bother friends or family for a ride. 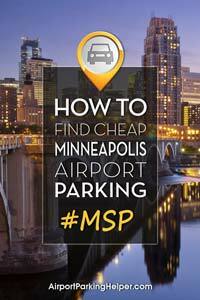 It’s a win-win-win for those looking for inexpensive MSP parking alternatives. Do a rate comparison now and discover the discount savings available from our choice for MSP shuttle service. There two basic types of car services to Minneapolis St. Paul airport. The most economical solution is the shared-ride shuttle van where folks traveling to MSP airport from the same general vicinity share a ride. The driver picks up several travelers along the way and then drops everyone off at their individual terminals. It’s practical and low cost. If you want a direct ride to the airport, you’ll want to look into the private car choices – where you don’t have to pick up other passengers. It may sound more expensive but if you’re going with a small group (say 3-4 friends, family members or co-workers), it actually may be about the same or slightly more than the shared ride. The travel partner we use for airport shuttle service operates at 90+ airports which makes it really convenient to make reservations at your departure city and arrival city. Again, by pre-booking at a specific time you take the stress and guesswork out of how you’re going to get from the airport to your hotel, convention center, etc. Performing a Groupon local search is a fast and easy way to find deals on off-site MSP parking lots, vans, shuttles, a car or limo service and more. Here's the current list of parking and airport transportation offers in Minneapolis, St. Paul and Bloomington area. You can also find tons of other cool Groupon travel deals. For example, there are occasionally deals for half off (or more) on a day pass to MSP airport lounges. If you’ve never spent time in a private lounge, definitely take a look. It’s like being in an airport oasis – particularly great if you have a long layover, your flight is delayed or you miss your connection. Groupon also is a good place to check for deals at your destination city for restaurants, concerts, spa treatments and more. Or, if you’re spending time in the Twin Cities before or after your flight, be sure to check out current local deals. You’ll occasionally find steep discounts for Water Park of America, home to the tallest indoor water slide in the country, as well as businesses at Mall of America. Before you purchase any MSP parking or airport transportation Groupon deal, be sure and read the fine print and make sure it’s good for the day you plan to use it. Start a search now and see what deals you can find – practical or fun! Here’s a strategy to avoid high MPLS parking rates that you may not have ever considered: Two one-way car rentals. For this method to pay off, you really need to either live a fair distance away from the airport or be traveling for an extended period of time (usually 10 days or more). But it is worth running the numbers because there are several advantages, namely not having to worry about finding parking at the airport or about the safety of your vehicle while you’re gone. The key here is using a car rental aggregator to compare prices of top companies all in one spot so you can find a low price. We recommend trying out RentalCars.com. Because they’re part of Priceline, this company is able to negotiate super deals with companies like Avis, Hertz, Budget and Enterprise. They make it pretty simple to reserve a car (without a credit card!) and easily cancel if your plans happen to change. Here’s what you do: Secure a one-way car rental from your hometown to the airport on the day you fly out. Pick up the car that day, drive it directly to the airport and return it at the MSP car rental terminal before boarding your flight. Then book a second one-way rental for the day your return so you can repeat the process in reverse. Run a quick search for the dates of your next trip and see if this is the best way for you to save on Minneapolis airport long term parking. 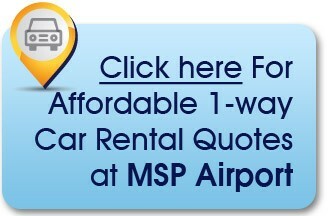 While certainly not the cheapest option, you may decide to use MSP airport parking on the airport grounds for the convenience. Your available on-site parking options will vary according to which Terminal will be departing from. Terminal 1-Lindbergh flyers have the option of using the Value Parking, Quick Ride Ramp, Daily Parking, and Valet Parking. 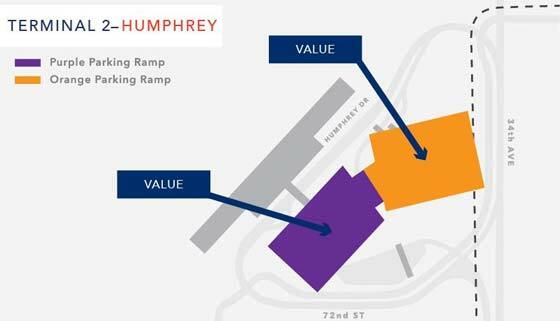 Terminal 2-Humphrey flyers are limited to using the Value Parking lot only. However, there is an option to catch the free Light Rail to get over to Terminal 1 if needed. For frequent travelers, MSP offers their ‘ePark Elite Parking' program. The $65 per month fee guarantees you will always have a parking space at either on-site terminal facility and pay the Terminal 1-Lindbergh ePark rate. Find more details and the application form on the official ePark Elite page. Using their ePark® automated entrances and exits will net you a few dollars in savings per day as opposed to the regular rates. To get the ePark rates, you will need to use the same credit card upon entering and exiting the parking facilities. Also note, there is a maximum of 45 days that MSP will allow you to park your vehicle on-site. 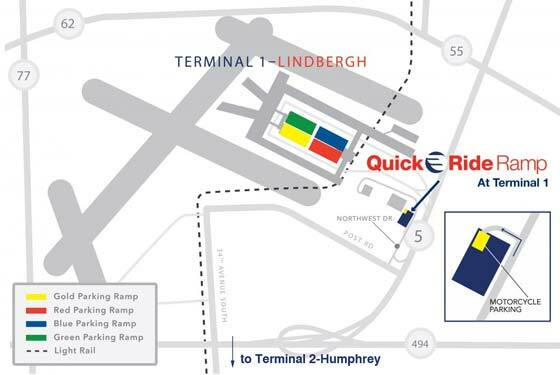 Motorcycle parking is made available at the Quick Ride Ramp on the ground level at Terminal 1-Lindbergh. Where is Minneapolis airport located? The Minneapolis airport address is 7150 Humphrey Drive, Minneapolis, MN 55450. How can I call the Minneapolis airport? The Minneapolis airport phone number is (612) 726-5555. What is the Minneapolis airport code? Where's the best place to park at MSP on-site? There are a variety of parking lots on site with fees fluctuating based on distance away from the terminals and services offered. MSP parking availability is on a first come, first served basis unless you are a member of the airport's ePark Elite program ($65 per month). The economy MSP parking lots can reach maximum capacity, leaving you and your traveling companions no option but to park in lots closest to the terminals at more expensive rates. How much is long-term parking at Minneapolis airport? Find current MSP parking rates for short term and extended stay parking at the official website for Minneapolis St. Paul International Airport. Where can I find MSP parking coupons? Take a look at our Top Travel Deals page for current discounts for off site MSP parking lots and Minneapolis hotels with free airport parking packages, as well as deals on other travel necessities such as airfare, rental cars and more. Can you look at the MSP parking status before arriving? If you plan to attempt to park your car in the on-site economy lot, it is essential to look at the MSP airport parking status prior to travelling, which can be done via this web page. In case the economy lots are approaching capacity or full, it's likely not too late to book a reservation at a private off-site MSP parking lot. It's very easy! Plus, you'll have a guaranteed space nearby (no driving around in circles – nerve-racking!) along with a hassle-free shuttle ride directly to the airport terminal. You'll most likely save a bit of money, as well. Don't forget to use code HELPER5 at checkout to save an extra $5! Is valet MSP parking offered and should I use it? Valet parking at MSP is the ultimate luxury, which of course makes it the most costly choice. Frugal travelers will definitely want to think about different options. It's also worth noting that MSP valet parking is only available at Terminal 1 Lindbergh. There are also a wide range of “valet” choices available from private off-site establishments, although the description varies. With some parking lots, the employee will take you to the airport in your car, leave you at your terminal and then park the car in their monitored off-site lot during your trip. At other lots, the employee will meet you at the aiport terminal and then take your vehicle directly into the off-site property. One final definition of “valet parking” is when the worker meets you at your car in the off-site parking lot to help you with your luggage when you get on the shuttle (and once more when you're arriving at your terminal). Fortunately, the independent MSP parking lots do a great job of defining what their valet services include within the individual profile (along with added amenities), so it's quite easy to assess if paying a little bit more is worth it to you for this benefit. How big is Minneapolis airport? MSP has one airfield, four runways and two terminals – Terminal 1 (Lindbergh) and Terminal 2 (Humphrey). The airport encompasses 4,300 acres spread among Minneapolis, St. Paul, Bloomington, Richfield, Mendota Heights and Eagan. Where can I find a Minneapolis airport map? 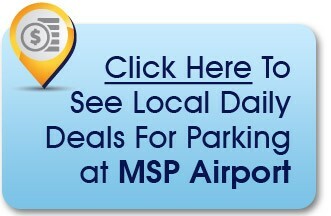 Click for a direct link to the MSP airport terminal information page. Here you can find links to view detailed airport maps that include all current shopping, dining and locations of other airport amenities. What's the best way to get to Minneapolis International Airport? To find the easiest way to MSP, it's a good idea to map it prior to driving to the airport. You'll type in your starting location and let Google do the routing for you. Either print the directions or use your mobile device and follow the detailed instructions. With your mobile device you'll also get traffic alerts, which will allow you to adjust your drive, if necessary. Get directions to Minneapolis airport. Whether you choose to look into offsite airport parking lots, hotels nearby with MSP parking packages, Minneapolis Groupon deals, a shuttle, car rentals or on-site airport parking, be sure to take care of this part of your trip early. It’ll be one less thing to fret about as your travel date nears! Of course, your individual circumstances determine which one of these MSP airport parking techniques is better for you. We've written complete posts that look at the advantages of several different airport parking savings solutions. Look them over and you'll be on the road to securing affordable airport parking without losing the any of the convenience.